Our staff is trained on The Honest Kitchen! Our wonderful Honest Kitchen rep, Emily, came out and taught our staff all about The Honest Kitchen brand! The brand started with a woman named Lucy Postins. 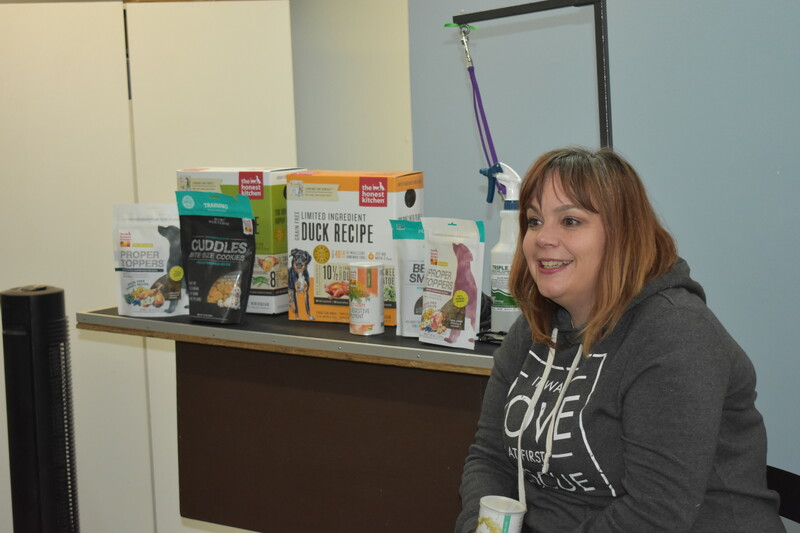 She had been preparing her dog's meals from scratch in her own kitchen when she decided to experiment with dehydrating the ingredients to make meal prep faster and more convenient. Thus, The Honest Kitchen was born! 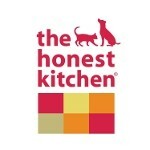 With all natural, whole food ingredients, The Honest Kitchen is the first pet food to be 100% human grade. That means that it meets the same strict standards of quality that the FDA put in place for human food. All of their products are made in the USA with no fillers, by-products, preservatives or GMO ingredients, and they never use anything from China. The Honest Kitchen is also easy to feed! All you have to do is mix in some warm water to make a tasty, homemade meal in just 3 minutes! In addition to being super convenient, it's also healthier than kibble and canned food. The gentle dehydration process helps retain the good vitamins, minerals and phytonutrients that are normally cooked out of highly processed foods. As The Honest Kitchen has grown, they've also expanded their product line. They now have lots of treats, food toppers, supplements and even bone broths, so there's something for everyone!